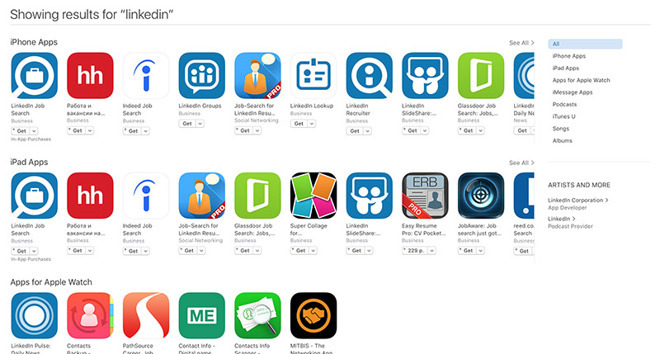 LinkedIn has been scrubbed from Apple's App Store in Russia. As noted by The New York Times, iOS and Android users living in Russia no longer have access to legitimate versions of the LinkedIn app. For now, LinkedIn content is reportedly still available for those who have the app installed, but the software was already malfunctioning due to an internet embargo imposed on the service's website last year. In November, a Russian court found LinkedIn in breach of regulations that require foreign companies operating internet services to keep data pertaining to Russian accounts inside the nation's borders. Though many international internet firms store data on offshore servers, and are thus in contempt of Russian law, LinkedIn was apparently singled out in a rare case of enforcement, the report said. The Microsoft-owned company said it was "disappointed" in the new development. "It denies access to our members in Russia and the companies that use LinkedIn to grow their businesses," said Nicole Leverich, a spokesperson for LinkedIn. While an exact timeline of events is unknown, Apple said regulators asked the company to remove LinkedIn from its Russian App Store about a month ago, the report said. Whether the demand came from a court, or more likely Russia's Roskomnadzor telecommunications regulatory body, is unknown at this time. The LinkedIn takedown is Apple's second state-demanded app removal to be reported this week. On Wednesday, the company removed the New York Times apps in China for violating unspecified local laws.